Are We Ready for the iPad Mini 2? Were you able to get your hands on the iPad Mini yet? Have you had it for a few days and you're already looking to move on? Then you're in luck, because the next generation of Apple's newest device is reportedly already in the works. 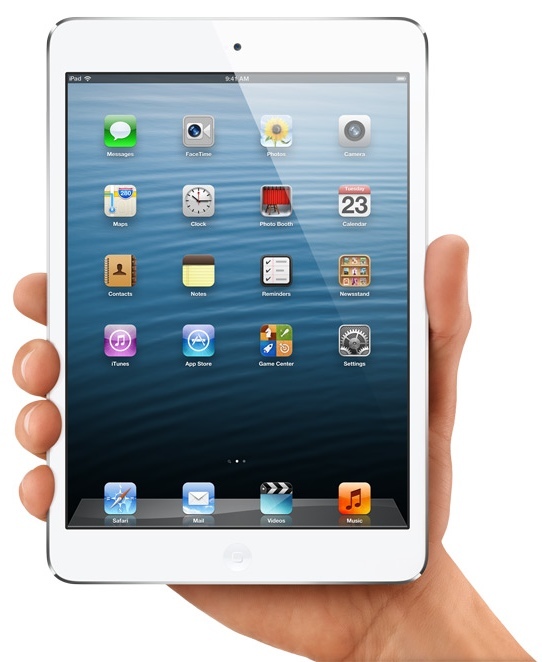 The iPad Mini was just released a few weeks ago and just became available in stores. It doesn't seem like people have even had ample time to discover everything they like and dislike about it. Regardless, Apple seems to think they know what we would like to see in the next generation, as rumors are out there saying they have already begun working on the iPad Mini 2. Sources are saying that the company that currently supplies Apple with the display for the iPad Mini 2 is working on a newer version, one that will be Retina Display. While the just-released iPad Mini features a 1024 x 768 resolution, AU Optronics is working on a display that will be 2048 x 1536. Additionally, rumors also support Apple using Sharp's IGZO technology for the next iPad Mini. This will allow the second-generation Mini to be thinner and more power-efficient, yet not lose out on its great color and brightness. Apple must be thinking that the Mini isn't mini enough. These plans support the iPad Mini 2 going into production later this year and looking forward to a Fall 2013 launch. That makes sense, but it also makes me wonder what will be released this late winter/spring? The third generation iPad was announced late winner this year, Mountain Lion and the MacBook Pro with Retina Display late spring/early summer, the iPhone 5, iPods, and iOS 6 were released late summer/early fall, and the iPad Mini, 4th generation iPad, and more Macs were released mid-fall. What could we possibly see being released late winter/early spring, and why haven't we heard any rumors about that yet?